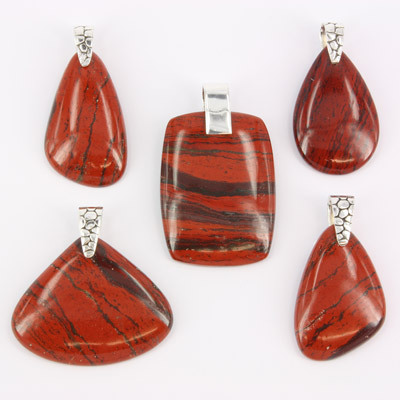 Snakeskin Jasper and Sterling Silver Pendants. Wholesale. Buy Australian Gemstone Jewellery Directly from Supplier. 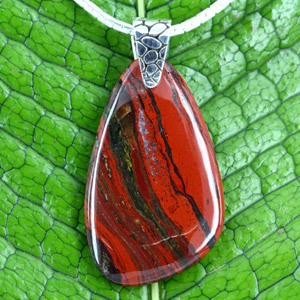 Snakeskin jasper occurs in the Pilbara region of Western Australia near the mining town of Newman. Because of its tremendous age it has undergone many changes and can contain bands of quartz and other highly attractive striations and inclusions. It's of a beautiful red colour that is not often encountered in a natural stone.